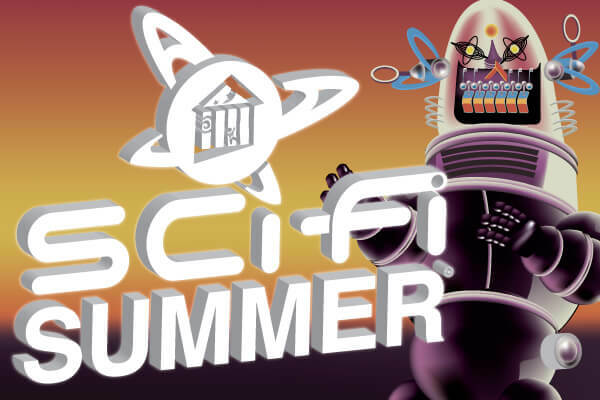 NOW- SEPT. 7: SCI-FI SUMMER AT THE MUSEUM! OPEN 7 DAYS A WEEK THROUGH LABOR DAY! The Children’s Museum of Houston’s “Sci-Fi Summer” will take you to infinity and beyond! Now through Labor Day weekend, you’re invited to take off on an out-of-this world adventure where imagination and reality collide. Come and explore the endless possibilities of time, space and mind-boggling discoveries where there are no limits to where you’re going, even if it means doing it all over again. The future is what you make of it now! Teleport to your own “Sci-Fi Summer” adventure and imagine what you’ll know tomorrow! 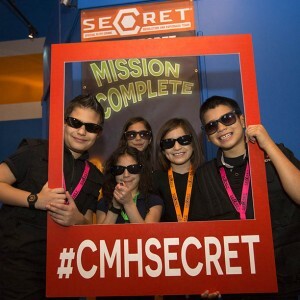 It’s a “Sci-Fi Summer” at the Children’s Museum of Houston! Robotics Lab:Come and explore the endless possibilities of time, space and mind-boggling discoveries where there are no limits to where you’re going, even if it means doing it all over again. Be in for a shock as you create your own unique Scribble Bot and create dynamic drawings using Lego® elements in the Robotics Lab. Event time: All Day in Invention Convention. Galactic Ranger Training: Join a galaxy ranger team and protect the Space Port from incoming asteroids by using a catapult to launch pulsar orbs. Event time: All Day in Power Play Lower. Make a transport interchange at the Museum’s all-new “Coding Hangout” exhibit where you create code to bring imaginings to life – it does compute! Unlock your curiosity and tap into S.E.C.R.E.T. discoveries by going on undercover mission. “The Galactic Journey” Live Production: Experience a close encounter of a rockin’ kind! Travel through intergalactic wormholes and dimensions during an action-packed live production of “The Galactic Journey.” Event Times: June 10- Sept. 7, Mon.– Sat. : 11:30 a.m. , 1:30 and 3:00 p.m.; Sundays: 1:30, 3 and 4 p.m. in Brown Auditorium. Infinity Mirror: Cross interstellar galaxies and beam into infinity using an Infinity Mirror. Then freeze time by capturing the moment with a selfie! Event time: Coming Soon! AND, don’t miss all of our interactive character appearances with a lineup that changes every week. Minion Dominion: The Children’s Museum of Houston is out to rule the world with the help of the Minions. You’re invited to go bananas during an epic day of despicable fun and indecipherable nonsense. Event time: Saturday, June 24, from 10 a.m. to 5 p.m.
Kidpendence Day: The stars and stripes will be in full effect as we celebrate our country’s 241ist birthday at the Children’s Museum of Houston’s “Sci-Fi Summer.” Before rockets glare and fireworks are in the air, exercise your right to be a kid as long as possible with some good ole American fun. Event time: Tuesday, July 4, from 10 a.m. to 5 p.m.
Make a Wish! “Tanabata ” Japanese Star Festival – In partnership with the Consulate-General of Japan at Houston: As legend is told in Japanese culture, two lovers, Vega and Altair, are separated by the Milky Way. They are allowed to meet only once a year on the 7th day of the 7th lunar month. This reunion marks the celebration of Tanabata (meaning the evening of the 7th). Event time: Friday, July 7, from 10 a.m. to 3 p.m. Doctor Who Revelations: His identity is vast as space and timeless as infinity. But, who is Doctor Who? Unravel the mysteries of the ultimate Time Lord and encounter not one, not two, but THREE of your favorite incarnations of The Doctor. Event time: Saturday, July 15, from 10 a.m. to 5 p.m.
Spider-Man Day: Our spidey senses are tingling! The Children’s Museum of Houston will get tangled in a web of excitement during the annual Spider-Man Day fan celebration. Sign up on-site to participate in a Web Sling Showdown! Event time: Saturday, July 29, from 10 a.m. to 5 p. m.
Trekkies vs. Star Wars: Calling all Star Trek and Star Wars fans! It’s highly illogical but the Children’s Museum of Houston is boldly going where no man has gone before. Galaxies will collide when Star Trek and Star Wars fans face off at the ultimate throw down. Event time: Saturday, Aug. 12, from 10 a.m. to 5 p.m.
Trolls on a roll: Ever had a bad hair day? It’s time to own it and let the good times roll. The Trolls are on a roll in on their quest to show you that happiness comes within yourself. Event time: Saturday, Aug. 26, from 10 a.m. to 5 p.m. In an effort to provide you with the most enjoyable experience during your visit, fastpasses are distributed for our Kidtropolis exhibit. Fastpasses are used for scheduled entry times, enabling us to properly monitor high attendance days for great experiences. The interactive adventures and games for kids will keep everyone engaged while trying to save the Museum from wormholes.